This holiday is for the more serious walker, covering the entire Great Glen in 6 days. 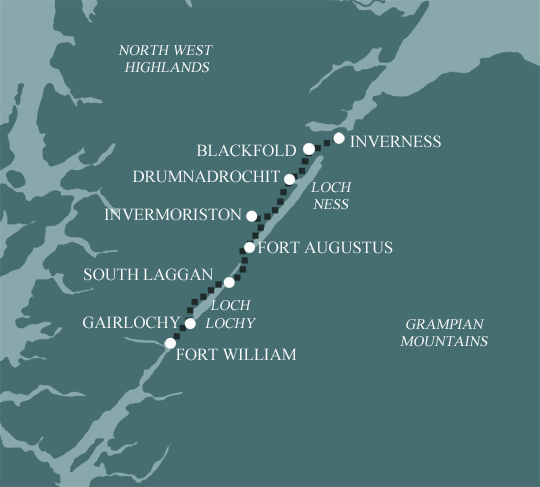 If you are a fit walker and want to concentrate on completing the Great Glen, but taking an easier day around Fort Augustus, then this is the walk for you. 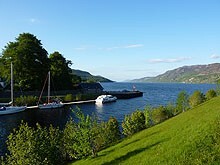 Fort Augustus is a lovely place, centred around a dramatic flight of lochs taking the Caledonian Canal down to Loch Ness. You can take a boat trip on Loch Ness, keeping a lookout for the famous Monster! There are some good places to eat or relax with a coffee.